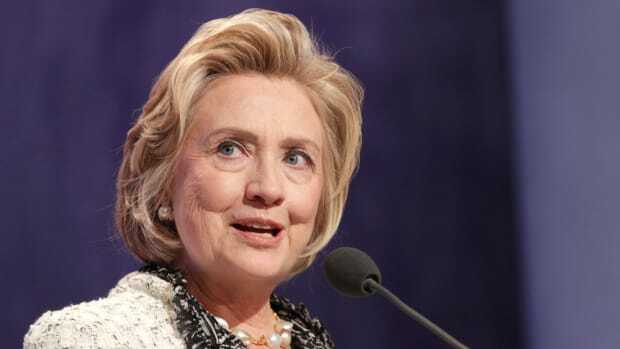 When Hillary Clinton stood before reporters last week to explain her use of personal emails while secretary of state, you could hear the echoes of past appearances where she was forced on the defensive. In Clinton lore, there’s probably no moment more famous than the so-called “pink press conference,” held in the middle of her husband’s first term as president and detailed in the 2007 book I wrote about Hillary with my former New York Times colleague Don Van Natta Jr. The moniker stemmed from the First Lady’s wardrobe on April 22, 1994, in the White House State Dining Room. Like today’s session, it was precipitated by a story in the New York Times. The newspaper had disclosed how she made almost $100,000 in the 1970s trading commodities after an initial investment of $1,000, a return of almost 10,000 percent in nine months. The profitable trades had remained hidden because the Clintons refused requests to release the relevant tax returns during the 1992 presidential campaign. If the past is any indication, last week&apos;s event was not the final word. Investigations and testimony are likely to follow. Last Tuesday&apos;s press conference was more of a beginning—or maybe a middle—than an end—just as it was in 1994. Hillary’s first year in the White House was hardly the dream life she had envisioned. By the time the holiday season of 1993 rolled around, Hillary was struggling to overcome a deep malaise; a few friends even worried that she was clinically depressed. She had personal and political reasons for the blue mood: In Hillaryland, they were trying to “control the fallout” from a series of recent articles about Bill’s womanizing. Hillary was slated for a holiday appearance on the Today show, but the interview was scrubbed after the network refused to agree to a request by her staff that she not be asked about the new allegations that Bill had fooled around in Arkansas, including with a woman named Paula. 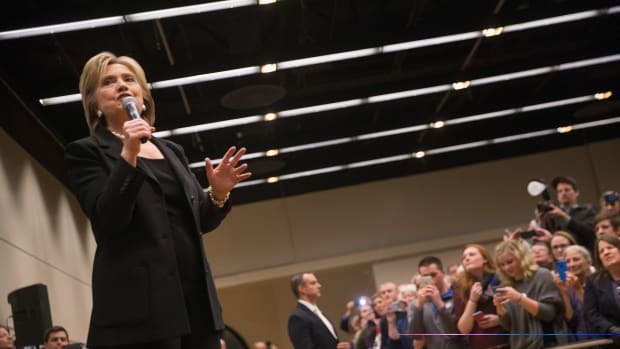 After some pleasantries, Hillary “railed against the tactics of the right-wing media and think tanks” and expressed amazement that statements of fact from her and Bill were “not accepted at face value” by reporters. Everywhere else they looked, however, the news was grim. There were stories about Whitewater and the anticipated troubles awaiting the First Lady in the year ahead. Hillary was hopeful that Americans would maintain a spirit of fair-mindedness, even as she struggled to maintain her own. That struggle would prove to be a formidable one, for Hillary and for Bill. Certainly their political opponents would show them no quarter. On January 6, 1994, Bill’s beloved mother, Virginia, died of cancer at her home in Hot Springs. A few hours after learning she had passed, Bill and Hillary happened to hear the news flash on the Today show: “The president’s mother died early this morning after a long battle with cancer.” Right after the report, Newt Gingrich and Senator Bob Dole appeared for a previously scheduled television interview. There were no condolences that morning. Instead, the two Republicans turned to Whitewater. “It, to me, cries out for the appointment of a regulator, independent counsel,” Dole said. Hillary noticed that Dole’s remarks devastated Bill. “Bill was raised by his mother to believe that you don’t hit people when they’re down, that you treat even your adversaries in life or politics with decency,” Hillary recalled. 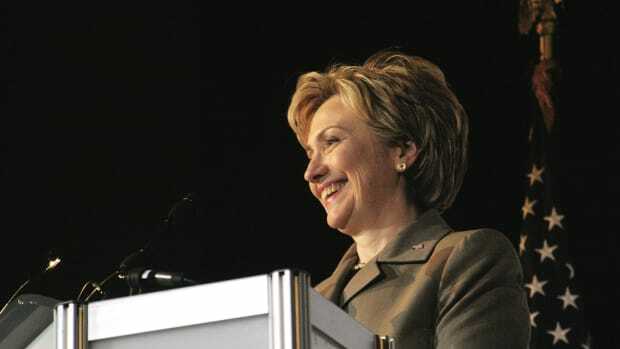 For her part, Hillary wished she “had fought harder and not let myself be persuaded to take the path of least resistance.” Over time, however, she would begin to view Fiske as “impartial and expeditious,” a more benign view shaped by Hillary’s opinion of his successor, Kenneth Starr. Starr took over from Fiske after eight months. Unlike Fiske, however, because of statutory changes, Starr was appointed not by Reno but by a panel of judges headed by a Republican. The First Lady viewed him as a deeply partisan Republican whose sole intention was to prolong the nasty investigation at least through the 1996 presidential election. But many of Starr’s controversial inquiries actually grew out of actions taken by Fiske. It was Fiske who had personally re-written crucial language of his charter as originally drafted by Justice Department lawyers. Fiske’s editing included revising a clause to broaden his authority to investigate any allegation that arose during the inquiry. Fiske said he created the “extremely broad clause” because, as a veteran prosecutor, “it was very important to me” to have that discretion. That open-ended clause would eventually become “a huge issue,” Fiske understandably recalled. Starr, Fiske’s successor, acknowledged that the re-written clause “certainly helped set the stage” for his office to investigate Bill’s affair with White House intern Monica Lewinsky. Both Starr and Fiske would also use the clause to investigate Webb Hubbell. Hubbell’s problems were apparent early in Fiske’s tenure. Two months after Fiske’s appointment, Hubbell resigned as associate attorney general to deal with a dispute with the Rose Law Firm over his billing practices. That dispute would eventually lead to his imprisonment after investigations by Fiske and Starr revealed that while at Rose, Hubbell had defrauded his clients and his partners. On hundreds of occasions he used Rose Law Firm checks to pay his personal expenses. Hillary had not believed the problem was serious, mainly because Hubbell had assured her it wasn’t, so she had joined a group of his friends and supporters to try to find work for her old law partner prior to conviction. Bill was in Boston at a fund-raising dinner at the Park Plaza Hotel when the news broke that Hubbell had resigned as associate attorney general. Bill was stunned. Hubbell’s resignation was “hard to believe.... He’s one of the most widely esteemed people I’ve ever known,” the president said grimly. Later at the dinner, Bill spoke about the need for a renewal of cooperation and even trust between Republicans and Democrats. With Hubbell clearly on his mind, Bill said the Republicans in Washington were “dedicated just to being against everything we are for, and dedicated to the politics of personal destruction.” His face reddening, he said the Republicans would “rather take off after” Hillary than debate her on the merits of health care reform. He posed this rhetorical question: “Why ... are we confronted in this administration with an opposition party that stands up and says, ‘No! No! No! No! No! No! No! No! No!’?” With each no, Bill’s voice got louder and he banged the podium harder. The audience was stunned; the president seemed to be losing control before their eyes. No charges were brought in connection with the consulting jobs, but Hubbell pleaded guilty in late 1994 to cheating his former clients and partners—including Hillary—out of at least $394,000. His guilty plea “shocked” Hillary, who “found it hard to take.” She had called Hubbell a week before the plea, having heard a news report that he might be indicted. 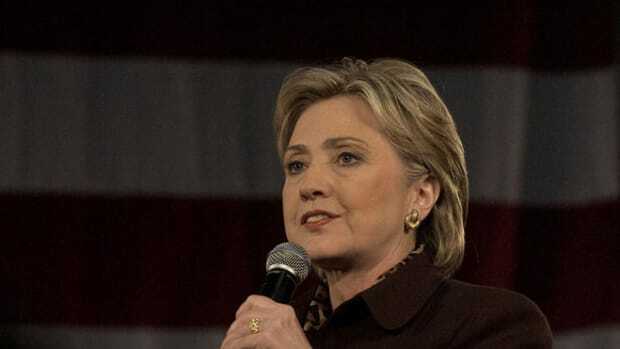 She told him, “You’ve got to fight this, Webb” and “You’ve got to get tough.” That was Hillary’s final conversation with Hubbell, ending a relationship that began nearly two decades earlier with the ACORN utility case. The Rose Law Firm trio—Vince Foster, Hubbell, and Hillary—was now down to one. A few days after Hubbell’s resignation, the New York Times ran a lengthy story about Hillary’s commodity trades. Her aides and lawyers had finally provided financial records to the Times, but only after the newspaper made clear that it was preparing to publish a detailed account of her trading profits. Initially, senior aides to the Clintons said in March 1994 that Hillary “based her trades on information in the Wall Street Journal.” That explanation was subsequently dropped. An aide to Hillary then said she had withdrawn from the market in the fall of 1979 because she had found trading too nerve-racking in the final months of her pregnancy. But another White House aide quickly declared that excuse “inoperative” after it was disclosed in April 1994 that Hillary made $6,500 in a commodities-trading venture in 1980 but failed to report that profit to the IRS. Soon after the commodities-trading story was published, Bill and Hillary tried to improve their relationship with the media. They had their friend Susan Thomases reach out to a prize-winning journalist, James Stewart, a contributing writer for the New Yorker. The Clintons, Thomases told Stewart, wanted someone to fairly present the story of Whitewater and Foster’s death, and to investigate the couple’s ideological enemies. Stewart, intrigued by the overture, then flew from New York to Washington, where he met Hillary in the Map Room of the White House. After some pleasantries, Stewart recalled, Hillary “railed against the tactics of the right-wing media and think tanks” and expressed amazement that statements of fact from her and Bill were “not accepted at face value” by reporters. Hillary insisted she had nothing to hide, so Stewart continued his project. He had subsequent discussions with Hillary’s aides. Believing the First Lady “would cooperate with me,” he began writing a book about the Clintons and their adversaries. But neither Hillary nor Bill cooperated. Hillary’s attitude toward the mainstream press stayed consistent from Little Rock to Washington—distrusting and wanting control. The Clintons were also somewhat naïve to think that if they simply pointed Stewart in the direction they preferred, he would walk dutifully ahead. Eventually his book, Blood Sport, drew wide praise, but not from the Clintons, and added to a torrent of stories about Hillary’s professional life in Arkansas that continued to tarnish her reputation. By mid-April, Hillary’s approval ratings had dropped from 56 percent the year before to 44 percent, a historically low mark for a First Lady. Aides knew that Hillary’s stubborn reluctance to speak with the press was one of the sources of the public’s displeasure with her. For weeks, her aides and friends had urged her to confront the negative reports and innuendos in an open, candid way. It was one thing to stay in the background, but by not providing Americans with an example different from her initially off-putting public appearance, she was leaving it to her political enemies to define her. “You know you’ll have to answer all questions, no matter what they throw at you,” Williams responded. She attributed her reticence with journalists to the lessons she had learned as a child. Her parents had repeatedly told her, for example: “Don’t listen to what other people say. Don’t be guided by other people’s opinions. 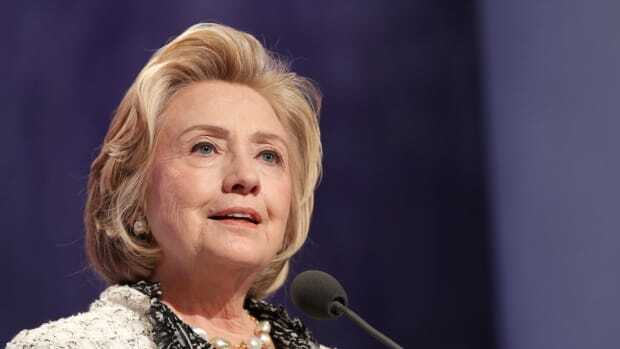 You know, you have to live with yourself.” It may have been good advice then, and she had certainly followed that advice since moving into the White House, but now, Hillary explained, it was time she began to open up and be “re-zoned,” as she put it. The reporters laughed. A reporter asked whether her criticism of the Reagan era as a decade of unabashed greed appeared hypocritical in light of her recently disclosed commodities-trading windfall. “I think it’s a pretty long stretch to say that the decisions we made to try to create some financial security for our family and make some investments come anywhere near” the “excess of the 1980s,” she replied. Inverting reality, she claimed that it was her father’s stubborn frugality and quest for financial security that had helped her succeed at trading commodities. She acknowledged that her refusal to release her 1979 tax returns and her steadfast opposition to the appointment of an outside counsel to investigate Whitewater had created the impression that she was trying to hide something. “I think that is probably one of the things that I regret most and one of the reasons why I wanted to do this,” she said. 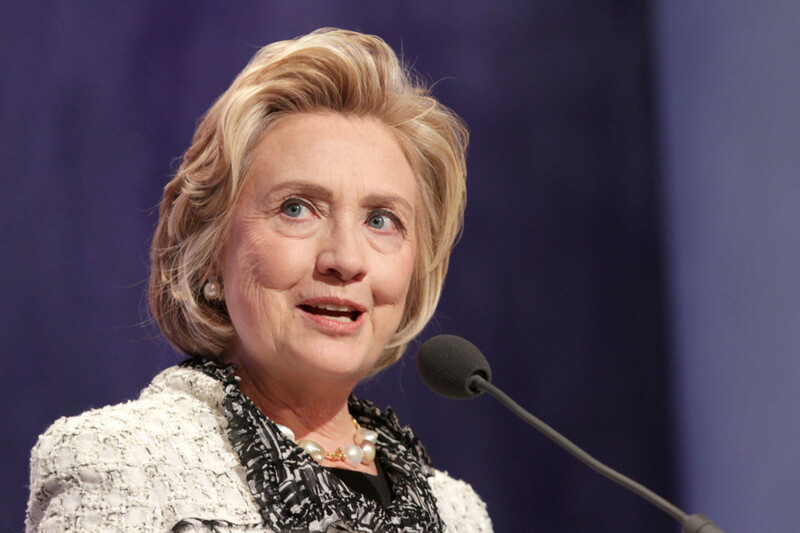 This piece has been adapted and excerpted from the book Her Way: The Hopes and Ambitions of Hillary Rodham Clinton, by Jeff Gerth and Don Van Natta Jr. Copyright (c) 2007 by Back Nine Books LLC. This post originally appeared on ProPublica as “Echoes of Hillary&apos;s Past as Emails Put Her on Defensive” and is republished here under a Creative Commons license. 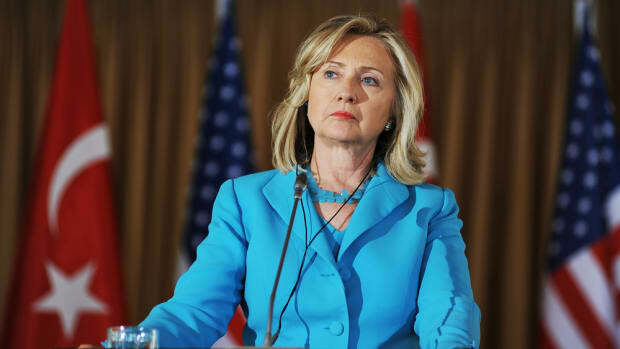 Is the former Secretary of State really that different from the rest of us?